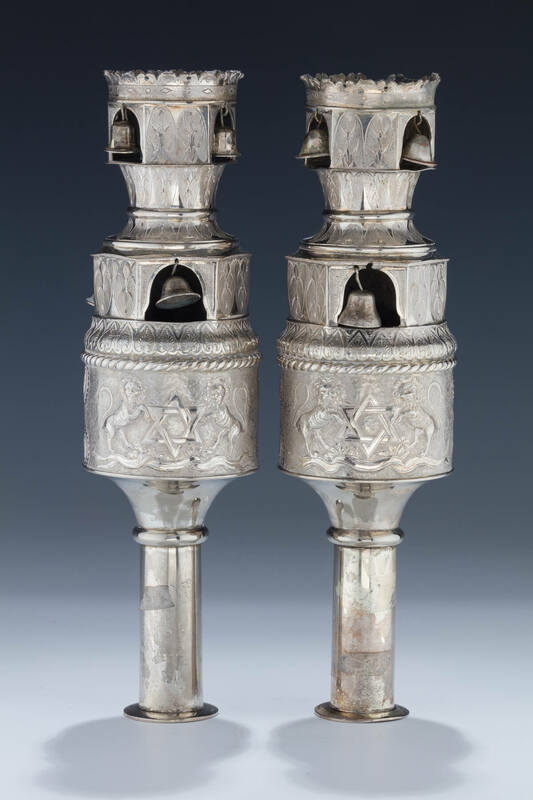 A PAIR OF LARGE SILVER TORAH FINIALS. Germany, c. 1880. Decorated with lions flanking a Magen David, two levels of bells and Acanthus leaf design. Marked with maker JMF.